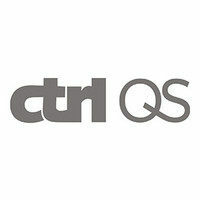 At ctrl QS we address the challenges faced by global brands when operating their digital activities worldwide. Offering a specialized range of services, we achieve operational excellence internationally to go hand in hand with advancing technology. Our track record of achievements is based on the contribution of every team member and has resulted in close and trusting relationships with our clients who see us as part of their team. Working at ctrl QS is to be at the forefront of the world’s corporate digital transformation. Located in the heart of Berlin, we steer international digital activities for some of the world’s top global brands like NIVEA, Montblanc, IWC Schaffhausen, GROHE and la prairie. We are unique in our positioning focusing on what we do best. A job with us combines working in a fast-paced professional environment and being part of a young-spirited, agile, collaborative, and multicultural team of over 75 team members from over 20 nations. Our working language is English. We are continuously learning and growing, offering careers in a wide variety of directions with the possibility to develop and take on new responsibilities quickly. Our account teams consist of Account Managers and Directors, Project and Content Managers, Rollout Managers, International Support Specialists, Technical Experts as well as Trainers. Our success is based on sustainable and healthy growth and we put our team, values and client satisfaction first. Managing multilingual content. You set up, migrate, quality-check and publish provided contents using state-of-the-art content management systems and other digital tools (PIMs, DAMs, eCRM tools etc.) for our clients and their local affiliates across the globe. Coordinating. You carefully check any briefings you receive and ensure that you have all information, knowledge and material you need to successfully execute your tasks. For this purpose, you communicate with teams internally and with our client contacts. You proactively flag if you see any risks to complete your tasks within the defined quality standards. Ensuring quality. You engage in back-end and front-end testing and quality assurance of global brand and ecommerce websites, applications and functionalities. Solving problems. You work in ticketing systems and coordinate with various of our partners including developing, technical and creative agencies to fix our clients’ issues and requests. Breaking complex matters down. You will liaise with development teams and technical support teams to translate technical information into easy-to-understand instructions for end users. Optimizing and sharing knowledge. You bring in ideas on how to optimize processes and solutions internally and for clients and document relevant knowledge in internal or external knowledge management tools. Digital savviness. You have a strong digital affinity and are passionate about technical solutions and digital trends. You are eager to dive into complex state-of-the-art systems. Love for quality and service-oriented mindset. You genuinely enjoy helping others to solve their problems. Your working style is defined by a close attention to detail and a keen eye for quality. Structured way of working. You have an independent and structured way of working. Before you start a task, you reflect on the most efficient way of completing it. You multitask, but also strictly follow priorities when necessary. Communication. You have a highly professional, open and collaborative communication style. You feel comfortable communicating in both multicultural and corporate environments. Your English skills are excellent, both orally and written. Resilience. You don’t mind if things become hectic and stay cool if things change unexpectedly. You strive in a fast-paced and dynamic working environment. Even under pressure you can provide consistent quality and reliable results. Experience. You have a good understanding of digital technologies and ideally some experience in working with tools (preferably CMSs, PIMs and/or DAMs). Experience in working within corporate environments is advantageous. Opportunity to shape. You can actively shape our organization and continue the ctrl QS success story. Reap the fruits of your own initiatives and see the impact of what you do. Exposure and top clients. We enjoy long term and profound client relationships. You will work closely with leading global brands, helping them to steer digital transformation in their organization. Have we sparked your interest? Then we’re looking forward to hearing from you soon!